Chris Gayle has become the first player to hit 300 sixes in the Indian Premier League. 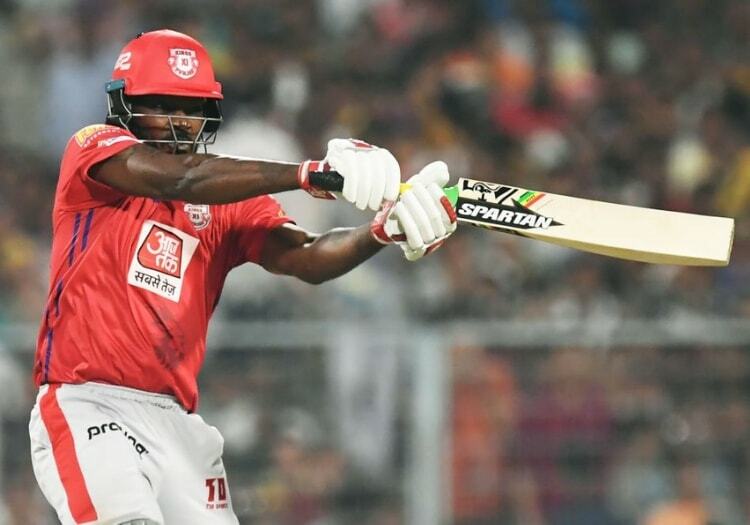 Gayle surpassed the landmark figure during Kings XI Punjab's clash with Mumbai Indians on Saturday when he deposited Mitchell McCleneghan over long-on during the third over of his side's innings. The West Indian, who has made 115 appearances in the competition since making his debut in 2009, has in excess of 100 more maximums than his nearest rival. AB de Villiers, with whom Gayle batted for several seasons at Royal Challengers Bangalore, is second on the list with 193, while MS Dhoni has 187. Gayle has nearly as many sixes to his name in the competition as he has fours (336). He was dismissed for 40 from 24 balls on Saturday, clearing the ropes twice more to take his overall tally to 302, as Kings XI chased 177 for victory over Mumbai.